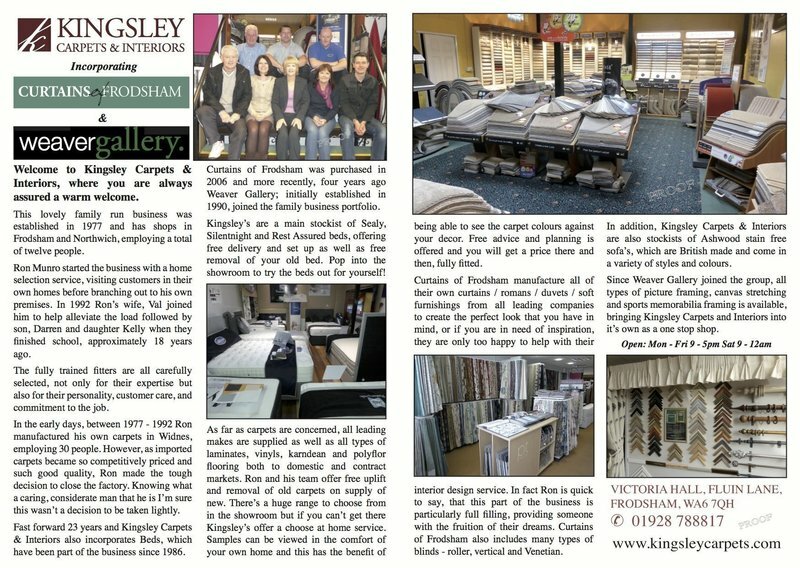 We have been established 37 years supplying carpets,vinyl,wood,laminates, beds, curtains, blinds and picture framing. We have two stores in Northwich and Frodsham. We also operate a Choose at Home Service since 1977 , we visit your home with samples at your convenience. Competitive prices, all fully skilled staff in all depts. We srevice all types of soft furnishings, we are manufacturers of all types of curtains, cushions, blinds. We supply and fit tracks, poles, carpets. 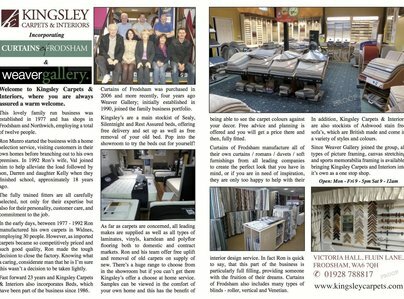 We sell Beds from all the leading manufacturers, with free delivery, free removal of your old bed. We fit carpets for free, we uplift and remove all your carpets prior to fitting. Competitive prices, employed staff, established 37 years. Top class work, polite, trustworthy. The crew arrived at the agreed time, I confirmed the desired relocation of some furniture and they cracked on. I left them to it, and went to the bistro in my accommodation for a few hours but. The came to me just before finishing off, the work was excellent, the men polite, I would not hesitate to recommend them to anybody. Fitted hall stairs, landing and bathroom flooring. They gave Clear communications on pricing, given different options of carpet standards for consideration. Good standard of workmanship. Clean and Tidy. I find them to be Trustworthy, bring samples to house, prompt and efficient, excellent service as took old carpets and prices good. Ron and his team were Friendly, capable, clean and tidy workers. Helpful to customer moving furniture to fit carpets and complete work.